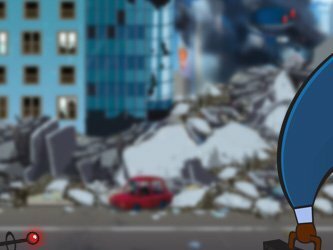 Think your company can survive the alien invasion? No more guessing as to whether or not your company has what it takes to survive an invasion of Earth. 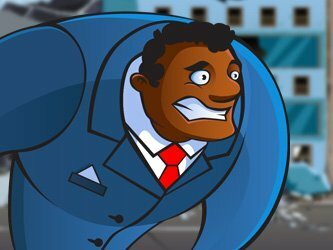 Every day the Alien Invaders advance, and every day your employees must stay at least one step ahead of them. 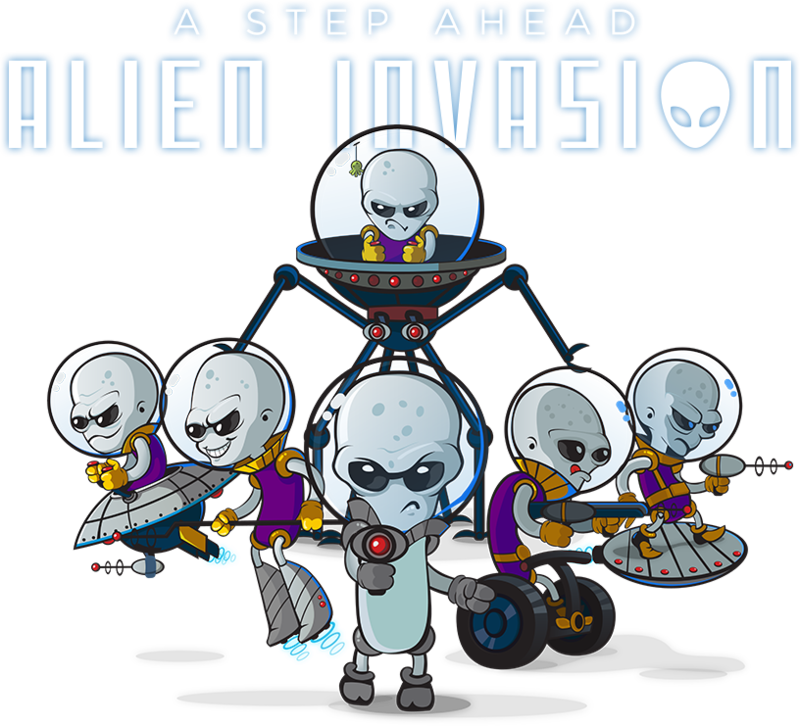 A Step Ahead: Alien Invasion takes boring pedometer programs and turns them on their head. 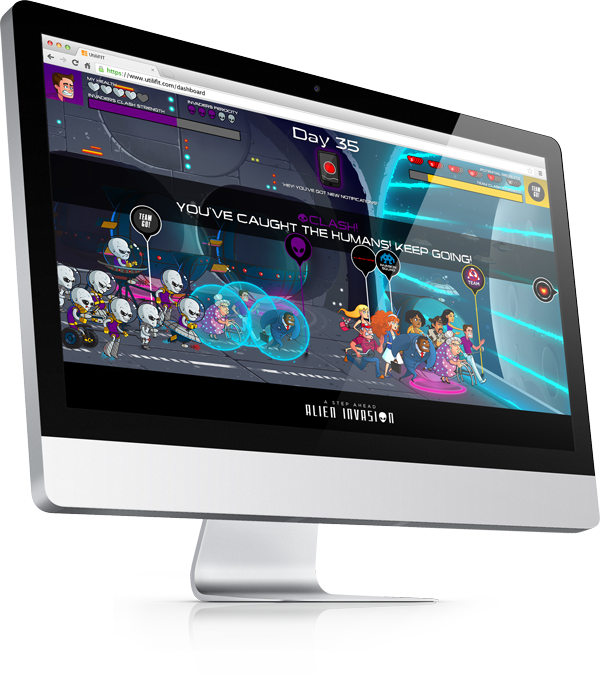 A Step Ahead: Alien Invasion is an interactive web-based game where your employees’ real-world activity moves them across a virtual game board. Teams will race from safehouse to safehouse, with their real-world steps progressing them through the ongoing story. Team Up and Move Out! Teamwork is crucial to making it out alive in A Step Ahead: Alien Invasion, a team-based, socially-connected challenge with trackable exercise and diet items available for extra progress in the game. Logging workouts will slow the Invaders down, while tracking and improving your diet make you more resistant to contact with the Aliens’ mind control technology. Start each week in a new safehouse, with your team’s steps driving progression across the game board and unlocking new chapters in the ongoing story. Teams are rewarded for synergistic play with combat bonuses and extra points for reaching a safehouse first. New bonuses each week mean that every team can be competitive throughout the entire challenge. The Alien Invaders possess advanced mind-control technology, which they’re using to turn humans into mindless (albeit very happy) drones to do their bidding. If turned, participants can literally chase (and turn) their coworkers into Alien Drones too. Record steps to move your character across the game board. Track diet and exercise to increase your character’s health and combat. Caught by the Alien Invaders? and then chase down and turn your coworkers into drones too! 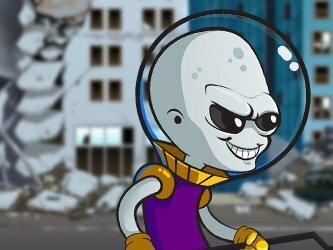 A Step Ahead: Alien Invasion is available as a web-app accessible via your favorite web browser on computer, tablet and smartphone (iOS and Android apps coming soon). Get in touch to schedule your group’s start date and prepare for the invasion. Times are changing and so are we! The old web-based A Step Ahead is discontinued, now rebuilt bigger, cooler and better than ever as a native iOS and Android app called THE OUTBREAK. The aliens are taking a break while their zombie pals take the spotlight as the first to make it over to the new 2.0 platform. Would you like to view the new hotness?